We are exposed daily to a form of air pollution that causes twice as many deaths as all other types of air pollution put together. This is known as Tobacco Smoke , which is actually the smoke from other people’s cigarettes. 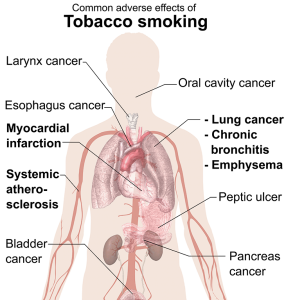 Tobacco smoke contains thousands of different chemicals, or ‘smoke constituents,’ also referred to as ‘smoke emissions.’ The most commonly known smoke constituents are tar, nicotine and carbon monoxide (CO). In addition to these, more than 7,000 chemicals have been identified in tobacco smoke to date. Public health authorities have classified some 70 smoke constituents as likely causes of smoking-related diseases, such as lung cancer, heart disease and emphysema. Removing tobacco smoke from the air is easy, and many air purifiers for smoke can do that. The hard part is tobacco smell because of tar. HEPA is not a good choice as it does not disable smoke as effectively and you’ll have to replace the HEPA filters frequently. While it is true that a HEPA filter acts like a cigarette filter the tar which builds up in it will make the HEPA smell like smoke almost immediately. Carbon will remove smoke, however the carbon will need to be in high amounts and will have to be replaced often. These filters become smelly almost immediately because of Tar. The costly filters replacement fees are another big issue for long-term use. Poiema uses the patented electrodes (TPA) to generate an unique electrical field, which traps tobacco smoke and tar. This in turn allow users to continuously have fresh and clean air. TPA technology are totally no maintenance cost. You don’t have to change filters anymore. 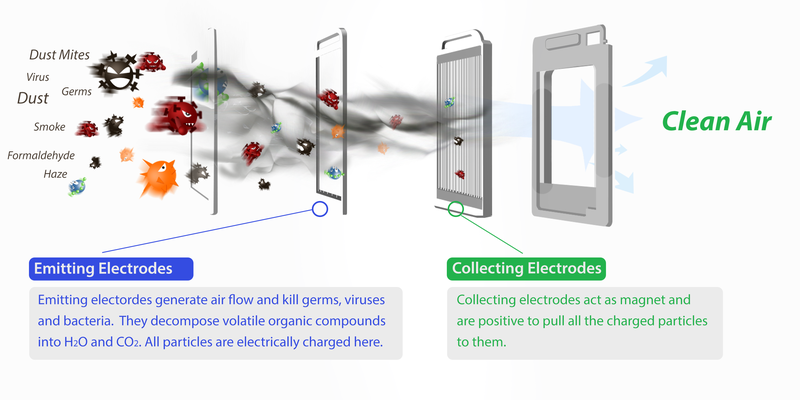 The only thing you have to do is simply wash the collecting electrodes. It is reusable and easy to wash.
Tar is not a specific smoke constituent, but a term that refers to particles in the smoke that are measured in machine test methods. These particles are made up of many smoke constituents, including some that public health authorities believe are likely causes of smoking-related diseases like lung cancer. The transitional filters, HEPA with Carbon filters, are costly to remove tobacco smoke. 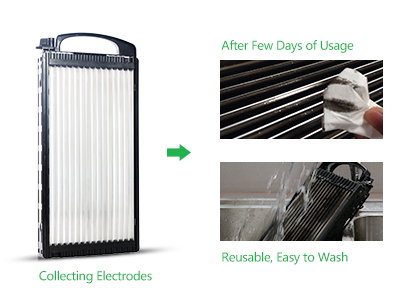 HEPA is not a good choice as you’ll have to replace the HEPA filters every 2 to 3 months. Carbon can remove smoke, however the carbon filter will need to be in high amounts and will have to be replaced often. How do we prevent tobacco smoke by using Poiema clean air systems?